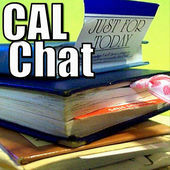 Welcome to this webpage for the podcast "CAL Chat" - the show where we discuss our favorite Al-Anon and Alateen Conference Approved Literature and how it has improved our lives! Susan shares, in part 1 of 4 of Episode 11, about how the booklet “When I Got Busy, I Got Better” (P-78) impacted her life. We discuss the different types of fear in Chapter One, how service keeps us from isolating, & that we're so glad there's no performance review in service work! Podcast where we talk about our favorite Al-Anon & Alateen literature & how it has improved our lives.